On June 15, 2017, the Schools Board Working Group deputed at the Toronto Police Service Board meeting regarding the motion to suspend the School Resources Officer program in schools. 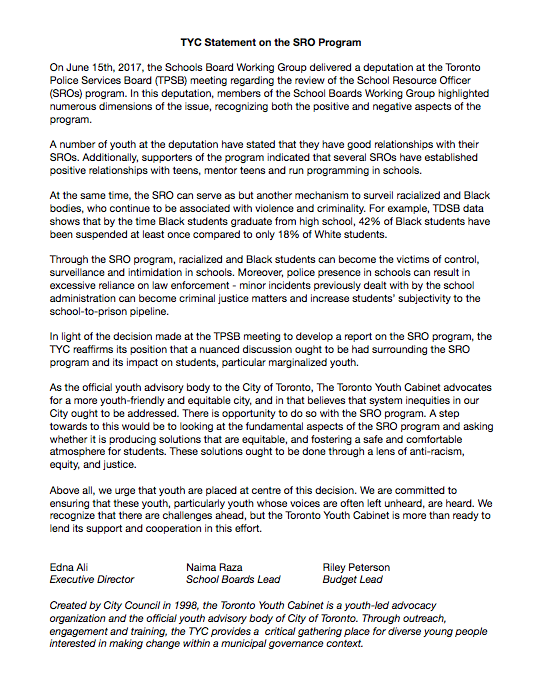 In light of the Board's decision, the Toronto Youth Cabinet released the following statement. Newer PostApply to the Community Safety Working Group!